Does your home seem too small for your family? Are you considering putting it up for sale to buy a slightly larger home? Before you go to the hassle and expense of moving, think about making a simple addition to your home with a sunroom. Sunrooms offer a bright, flexible space that make the cold days feel warmer and the dark days seem brighter. Plus, they give you some extra space to get away and enjoy the outdoors. 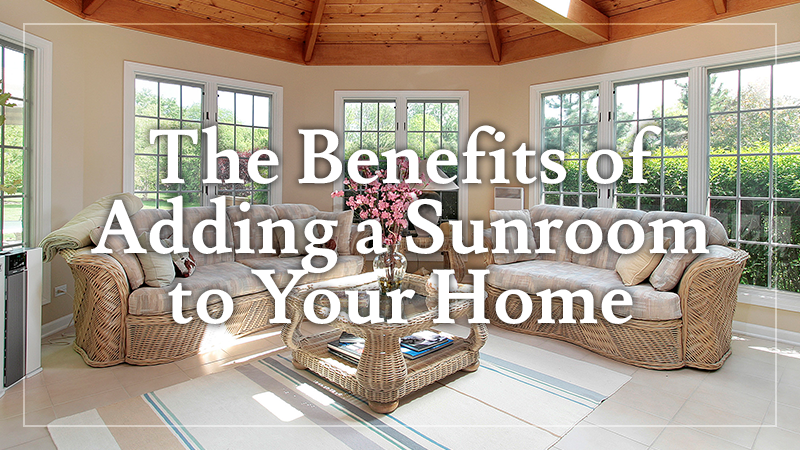 Here are some reasons to consider adding a sunroom to your home. A custom designed sunroom may be the perfect addition to your home if you’re looking to boost its value. Adding a sunroom to your existing home can provide a 52.5 percent return on investment in Middle Tennessee, according to the “2015 Cost vs. Value Report” published in Remodeling Magazine. A sunroom adds usable square footage to your home as well as beauty and flexibility. When choosing a home remodeling project, you want to choose one that will make your home more livable and ultimately add to your home’s value. A sunroom addition does both beautifully. The great thing about a sunroom is that it’s flexible. You can use it as a play space for children, a conversation and gathering area for adults, or a quiet space where you can relax while enjoying a bright sunny day. There is a variety of styles to choose from, so you can tailor the sunroom to suit your family’s needs. Do you want an elegant space for entertaining? Do you need a family game room? 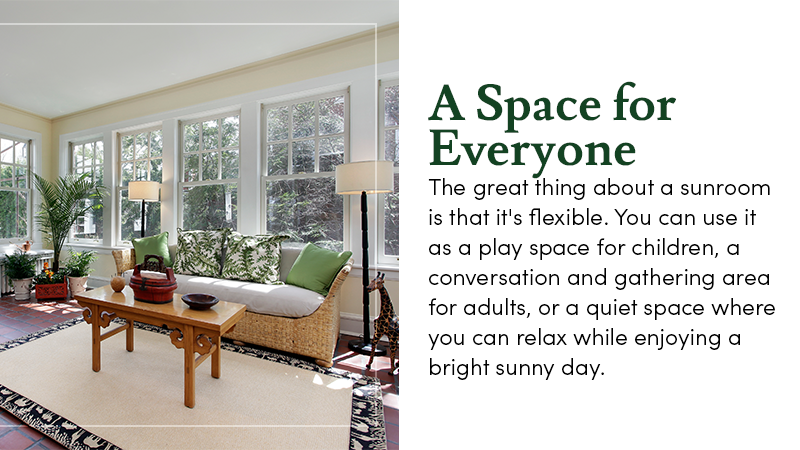 With a sunroom, the possibilities are endless. Even if your home is otherwise closed off, a sunroom with large windows can add the perception of openness to your home. Open floor plans are popular, but remodeling your existing home to achieve this look may be financially prohibitive. Adding a sunroom will add valuable square footage to your home while providing a more open floor plan feel. The cold temperatures combined with the shorter days of winter in Middle Tennessee make it difficult to enjoy the great outdoors. A sunroom, however, allows you to enjoy the beauty of nature from the comfort of your home. A sunroom is extremely energy efficient with large windows that allow the sun’s rays to warm the room. The high-quality glass used in the windows will keep the room comfortable year-round. So even in what feels like the darkest days of winter, you can enjoy the feel of the sunshine on your face. If you are thinking of adding a sunroom to your home, contact L&L Contractors to get started. 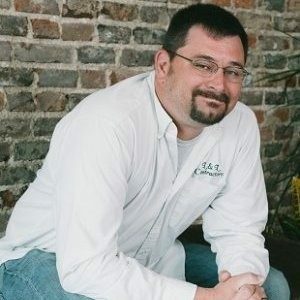 With a decade of experience, we are professional contractors who offer quality workmanship and first-class service to our clients and community. Schedule a consultation today to see what L&L can do for your home! L & L Contractors is located in Murfreesboro and provides services as far north as Clarksville, as far south as Huntsville, Alabama, as far east as Cookeville, and as far west as Dickson. If you live in the greater Middle Tennessee area, let L & L Contractors help! For a complete listing of cities, towns, zips and counties we serve, please visit our service area page! Are you looking to improve your existing home or business? Call L & L Contractors at 615-617-3189 or click here! 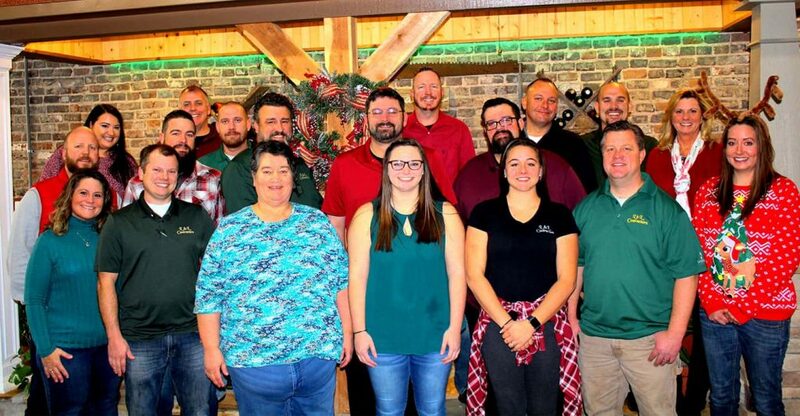 We know you’ll love the L & L difference! L & L Contractors is the go-to provider of professional roofing services in the greater Middle Tennessee area. Let us help with your roofing needs today. We take pride in offering excellent customer service and top-quality craftsmanship, and would love to work with you.